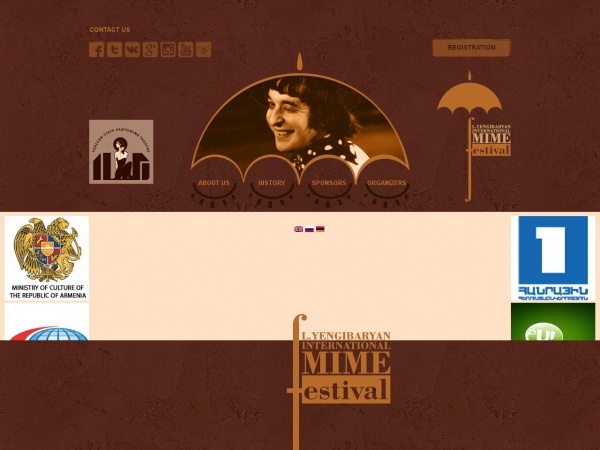 “Ministry of culture of RA, National Theatre Art Association, Municipality of Tsakhkadzor and Yerevan State Pantomime Theatre proudly present the International Mime Festival to be held in Tsakhkadzor (Republic of Armenia) . Pantomime is the most difficult and unique genre of dramatic art, comprehensible for all people despite nationalities and religions. The goal of the International Mime Festival is to make widely available the best practices of the world pantomime. It has as its objects to create cooperation between world´s theatrical, cultural and travel organizations as well as to apply for international theatrical processes membership. Tsakhkadzor , where the festival is to be held, is a modern mountainous resort, located at the height of 1845 m. above the sea level. The name Tsakhkadzor  translates as flowers´ valley  as the great numbers of different flowers grow here, green meadows are magnificent, and this is really a paradise , where the summer is cool and winter is soft and autumn is unanimously recognized as Golden Season. We are pleased to inform that from March 1 we welcome performing arts companies and artists to present their theatres in mime, street, physical, fire-show, moving, jugging, dramatic dance, pantomime genres and other forms of mime arts. For 5 exhilarating days world´s exciting mime theatre companies will come together to present wonders of mime arts and pantomime plays on the street at daytimes and on the open-air stage in the evenings. Other events include forum, theatre workshops, master classes, feedback evenings, and fest clubs. If you are interested in participating in our Fest, please refer to our registration conditions.